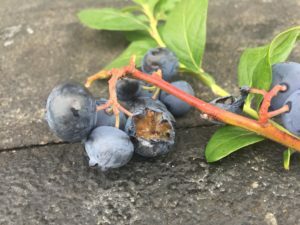 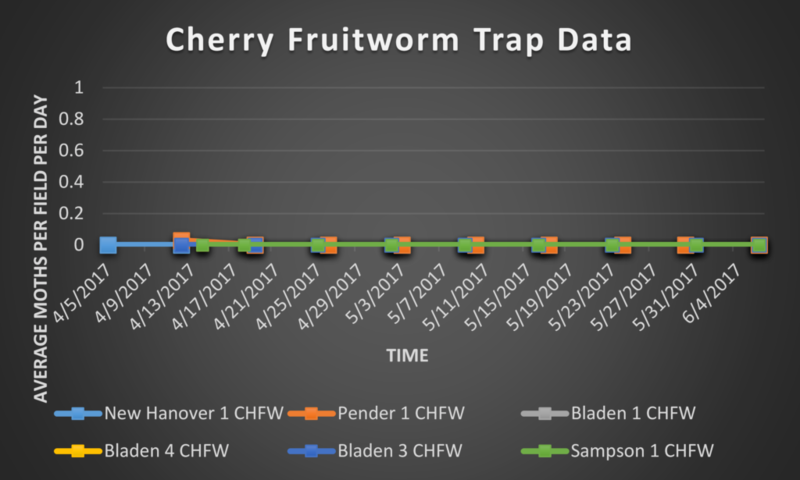 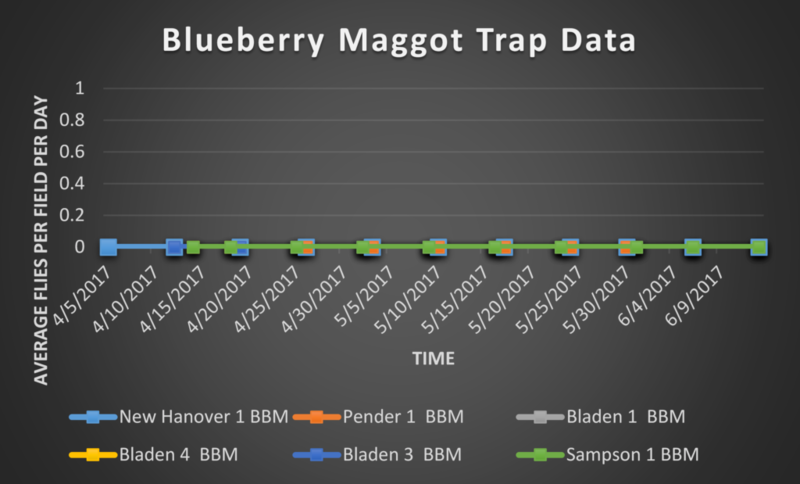 The spike in SWD captures at our Pender trapping location is likely due to the fact that much of their blueberry plants have been hedged for the season, which also resulted in some of our traps being hedged, too! 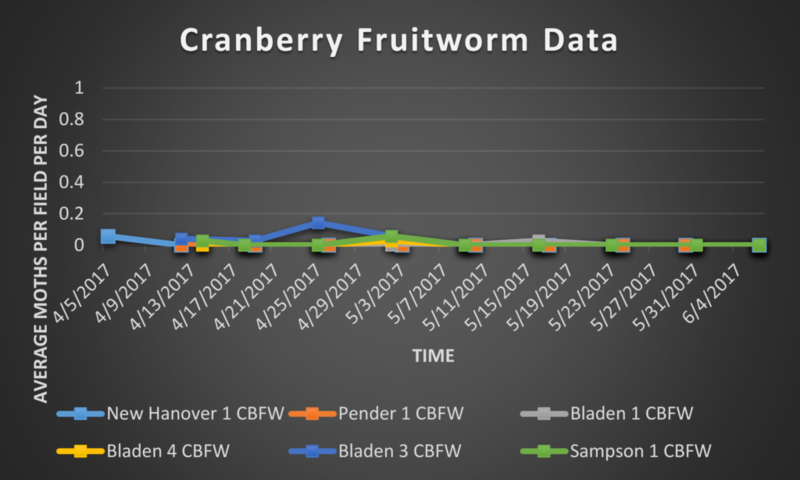 Similar trends will be expected at the other locations when their plants are also hedged for the season. 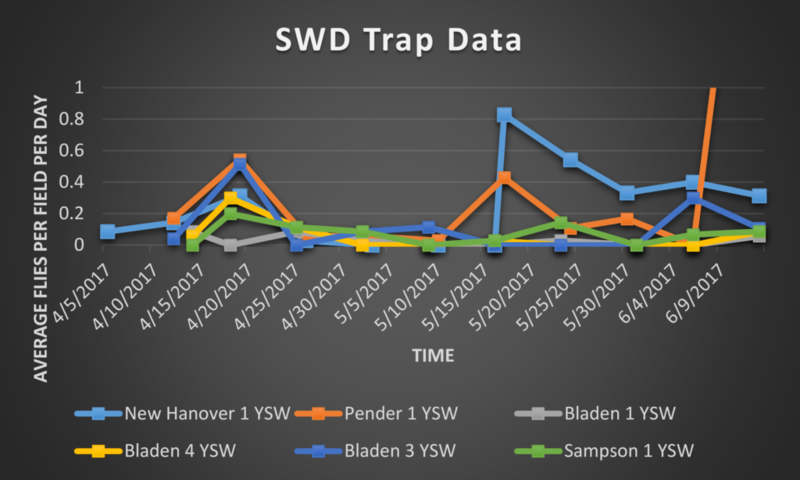 During this trapping period, 11 SWD were captured at New Hanover 1, 23 SWD were captured at Pender 1, 3 SWD were captured at Bladen 3, 2 SWD were captured at Bladen 1, 3 SWD were captured at Bladen 4, and 3 SWD were captured at Sampson 1.